Natural burial is the interment of the body of a dead person in the soil in a manner that does not inhibit decomposition but allows the body to recycle naturally. It is an alternative to other contemporary Western burial methods and funerary customs. Embalming is the art and science of preserving human or animal remains by treating them to forestall decomposition. The intention is usually to make the deceased suitable for public or private viewing as part of the funeral ceremony, or keep them preserved for medical purposes in an anatomical laboratory. The three goals of embalming are sanitization, presentation, and preservation, with restoration being an important additional factor in some instances. Performed successfully embalming can help preserve the body for a duration of many years. Embalming has a very long and cross-cultural history, with many cultures giving the embalming processes a greater religious meaning. Shroud usually refers to an item, such as a cloth, that covers or protects some other object. The term is most often used in reference to burial sheets, mound shroud, grave clothes, winding-cloths or winding-sheets, such as the famous Shroud of Turin or Tachrichim that Jews are dressed in for burial. Traditionally, mound shrouds are made of white cotton, wool or linen, though any material can be used so long as it is made of natural fibre. Intermixture of two or more such fibres is forbidden, a proscription that ultimately derives from the Torah, viz., Deut. 22:11. Promession is an idea of how to dispose human remains by way of freeze drying. The concept of promession was developed by Swedish biologist Susanne Wiigh-Mäsak, who derived the name from the Italian word for "promise" (promessa). She founded Promessa Organic AB in 1997 to commercially pursue her idea. The company was liquidated 2015 without being able to produce a functioning facility. The idea of promession is questioned and not a functional method according to critics. Philip Lieberman is a cognitive scientist at Brown University, Providence, Rhode Island, United States. Originally trained in phonetics, he wrote a dissertation on intonation. His career has focused on topics in the evolution of language, and particularly the relationship between the evolution of the vocal tract, the human brain, and the evolution of speech, cognition and language. A cemetery or graveyard is a place where the remains of dead people are buried or otherwise interred. The word cemetery implies that the land is specifically designated as a burial ground and originally applied to the Roman catacombs. The term graveyard is often used interchangeably with cemetery, but a graveyard primarily refers to a burial ground within a churchyard. An archaeological culture is a recurring assemblage of artifacts from a specific time and place that may constitute the material culture remains of a particular past human society. The connection between the artifacts is based on archaeologists' understanding and interpretation and does not necessarily relate to real groups of humans in the past. The concept of archaeological culture is fundamental to culture-historical archaeology. In many cultures, human corpses were usually buried in soil. The roots of burial as a practice reach back into the Middle Palaeolithic and coincide with the appearance of Homo neanderthalensis and Homo sapiens , in Europe and Africa respectively. As a result, burial grounds are found throughout the world. Through time, mounds of earth, temples, and underground caverns were used to store the dead bodies of ancestors. In modern times, the custom of burying dead people below ground, with a stone marker to indicate the burial place, is used in most cultures; although other means such as cremation are becoming more popular in the West (cremation is the norm in India and mandatory in Japan[ citation needed ]). The memorial reef is a natural, alternative approach to burial. The cremated remains of a person are mixed in with concrete and then placed into a mold to make the memorial reef or eternal reef. After the concrete sets, family members are allowed to customize the reef with writing, hand prints and chalk drawings. After this, the eco-friendly reefs are placed into the ocean among other coral reefs where they help to repair damage to the reefs while also providing new habitats for fish and other sea communities. It has become a new way to memorialize the passing person while also protecting the marine environment. The high cost of the memorial reefs has caused this alternative form of burial to remain minimal and uncommon. This kind of natural burial is practiced in permitted oceans in the United States specifically in locations around Florida, South Carolina, North Carolina, Maryland, New Jersey, Texas and Virginia. Burials may be placed in a number of different positions. Bodies with the arms crossed date back to ancient cultures such as Chaldea in the 10th century BC, where the "X" symbolized their sky god. Later ancient Egyptian gods and royalty, from approximately 3500 B.C. are shown with crossed arms, such as the god Osiris, the Lord of the Dead, or mummified royalty with crossed arms in high and low body positions, depending upon the dynasty. 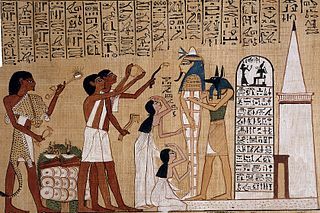 The burial of bodies in the extended position, i.e., lying flat with arms and legs straight, or with the arms folded upon the chest, and with the eyes and mouth closed. Extended burials may be supine (lying on the back) or prone (lying on the front). However, in some cultures, being buried face down shows marked disrespect like in the case of the Sioux  . Other ritual practices place the body in a flexed position with the legs bent or crouched with the legs folded up to the chest. Warriors in some ancient societies were buried in an upright position. In Islam, the body is placed in supine position, hands along the sides and the head is turned to its right with the face towards the Qibla. Many cultures treat placement of dead people in an appropriate position to be a sign of respect even when burial is impossible. Deceased individuals who were either not identified or misidentified at the time of burial may be reburied if survivors so wish. For example, when the remains of MIA soldiers are discovered, or the case of Nicholas II of Russia and his family, who were exhumed from unmarked graves near Yekaterinburg to be reinterred in the Peter and Paul Fortress in St. Petersburg. Cemeteries sometimes have a limited number of plots in which to bury the dead. Once all plots are full, older remains may be moved to an ossuary to accommodate more bodies, in accordance with burial contracts, religious and local burial laws. In Hong Kong where real estate is at a premium, burials in government-run cemeteries are disinterred after six years under exhumation order. Remains are either collected privately for cremation or reburied in an urn or niche. Unclaimed burials are exhumed and cremated by the government. Permanent burial in privately run cemeteries is allowed. Remains may be exhumed and reburied en masse when a cemetery is relocated, once local planning and religious requirements are met. It also enables construction agencies to clear the way for new constructions. One example of this is cemeteries in Chicago next to O'Hare International Airport to expand the runways. As the human population progresses, cultures and traditions change with it. Evolution is generally slow, sometimes more rapid. South Korea's funeral arrangements have drastically changed in the course of only two decades according to Chang-Won Park  . Around the 1980s at home funeral ceremonies were the general norm, straying away from anywhere that was not a family home. Dying close to home, with friends and family, was considered a ‘good death’, while dying away from home was considered a ‘bad death’. This gradually changed as the upper and middle class started holding funerals in the mortuaries of hospitals. This posed an issue for hospitals because of the rapid increase in funerals being held and maxing occupancy. This quickly resolved when a law was passed to allow the civilian population holding funerals in the mortuaries of hospitals. The lower class quickly followed suit, copying the newly set traditions of the upper classes. With this change, cremation also practice more as an alternative to traditional burials. 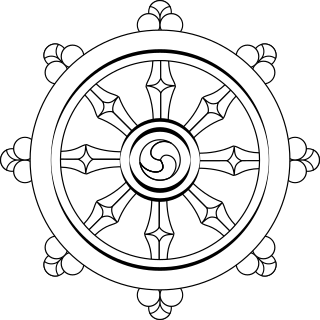 Cremation was first introduced by Buddhism, and was quickly banned in 1470. It wasn’t until the Japanese colonization period that cremation was re-introduced in 1945 and later on lifted the ban. It took until 1998 for cremation to rapidly grow in popularity. According to Margaret Holloway,  funerals are believed to be driven by the consumer's choice, personalisation, secularization, and stories that place individual traditional meta-narratives. It has been studied that funeral homes in the United Kingdom are most concerned with comforting the grieving, rather than focusing on the departed. This study found that modern day funerals focus on the psycho-social-spiritual event. Modern day funerals also help the transition of the recently passed transitioning to the social status of ‘the deceased’. [ clarification needed ] The article found that funeral homes do not adhere to traditional religious beliefs, but do follow religious traditions. ↑ Philip Lieberman. (1991). Uniquely Human. Cambridge, Mass. : Harvard University Press. p. 162. ISBN 978-0-674-92183-2. ↑ Wilford, John Noble (16 December 2013). "Neanderthals and the Dead". The New York Times . Retrieved 17 December 2013. 1 2 3 Holden, Matthew H.; McDonald-Madden, Eve (2018). "Conservation from the Grave: Human Burials to Fund the Conservation of Threatened Species". Conservation Letters. 11: n/a. doi:10.1111/conl.12421. ISSN 1755-263X. 1 2 "Be a Tree; the Natural Burial Guide for Turning Yourself into a Forest". "Be a Tree; the Natural Burial Guide for Turning Yourself into a Forest". Retrieved 2017-04-28. ↑ Thornton Parker, William. "Concerning Indian Burial Customs". ↑ Simpson, Jacqueline (January–March 1978). "The World Upside down Shall Be: A Note on the Folklore of Doomsday". The Journal of American Folklore. 91 (359): 559–567. doi:10.2307/539574. JSTOR 539574. 1 2 One or more of the preceding sentences incorporates text from a publication now in the public domain : Chisholm, Hugh, ed. (1911). "Cross-roads, Burial at" . Encyclopædia Britannica . 7 (11th ed.). Cambridge University Press. p. 510. ↑ Brown, Emily (25 June 2013). "Dog buries puppy in viral video". USA Today . Retrieved 26 June 2013. ↑ "Why Dogs Dig and What You Can Do". WebMD . Retrieved 1 May 2015. 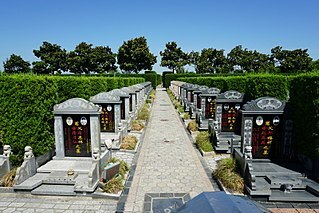 Wikimedia Commons has media related to Burials . Wikisource has the text of the 1911 Encyclopædia Britannica article Burial and Burial Acts . A burial vault is a container, formerly made of wood or brick but more often today made of concrete, that encloses a coffin to help prevent a grave from sinking. Wooden coffins decompose, and often the weight of earth on top of the coffin, or the passage of heavy cemetery maintenance equipment over it, can cause the casket to collapse and the soil above it to settle. Disposal of human corpses is the practice and process of dealing with the remains of a deceased human being. Like most animals, when humans die, their bodies start to decompose, emitting a foul odor and attracting scavengers and decomposers. For these reasons, corpses must be disposed of properly. The problem of body disposal consists of two parts: disposal of the soft tissues, which will rapidly decompose, and of the skeleton, which will remain intact for thousands of years under certain conditions. A Christian burial is the burial of a deceased person with specifically Christian ecclesiastical rites; typically, in consecrated ground. Until recent times Christians generally objected to cremation because it interfered with the dogma of the resurrection of the body, and practiced inhumation almost exclusively. Today this opposition has all but vanished among Protestants. Catholics are now able to be cremated also, and this is rapidly becoming more common, but the Eastern Orthodox Churches still mostly forbid it. A Catholic funeral is carried out in accordance with the prescribed rites of the Catholic Church. Such funerals are referred to in Catholic canon law as "ecclesiastical funerals" and are dealt with in canons 1176–1185 of the Code of Canon Law, and canons 874–879 of the Code of Canons of the Eastern Churches. In Catholic funerals, the Church seeks firstly to offer the Mass for the benefit of the soul of the deceased so that the temporal effects of sin in Purgatory may be extinguished, and secondly to provide condolence and comfort for the deceased's family and exhort the latter to pray, along with the Church, for the soul of the departed. During the Pre-Hispanic period the early Filipinos had already believed in a concept of life after death. 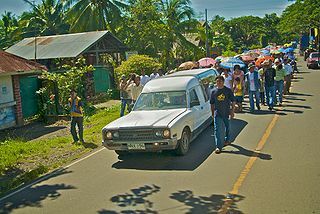 This belief in an afterlife prompted the Filipinos to create burial customs and beliefs to somehow honor the dead through rituals. Due to different cultures from different part of the Philippines, many different burial practices have also emerged from the different tribes. For example, The Manobos had to bury their dead in trees, the Ifugaos had to seat their corpse on a chari before it was brought to a cave and buried elsewhere. These funeral practices and cultural beliefs are myths created by these indigenous people to try make sense of the world that they are living in as a way to compensate for their lack of understanding.